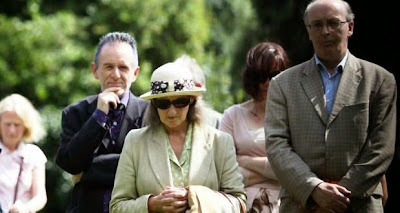 The 69th anniversary of the atomic bombing of Hiroshima was marked at a wreath-laying in Dublin yesterday. Within minutes of the bombing, 80,000 people died on August 6th, 1945. The death toll later rose to between 90,000 and 140,000. It was the first use of a nuclear weapon in warfare. Yesterday’s commemoration in Merrion Square was organised by the Irish Campaign for Nuclear Disarmament (CND) and the Irish Peace and Neutrality Alliance. Deputy Lord Mayor of Dublin Larry O’Toole (Sinn Féin) laid a wreath next to a memorial cherry tree planted by Irish CND in 1980. There was a minute’s silence followed by music played by traditional Irish and Japanese musicians. Naoki Yoshimura, first secretary at the Japanese embassy in Dublin, said that although Ireland was geographically far from Japan, he was impressed that so many people came to commemorate the victims of Hiroshima. He said similar ceremonies were being held all over Japan. Poet Hugh McFadden read an anti-war poem about the bombing. Speaking before the ceremony, he described all wars as “tragic failures of politics and diplomacy”. Speakers at the ceremony drew parallels between the bombing of the Japanese city and the current conflict in Gaza. Irish CND president Rev Patrick Comerford said the threat of nuclear warfare hung over all conflicts, including Gaza, and Israel had a “stockpile” of nuclear weapons. Speaking after the ceremony, Rev Comerford called on the Government to demand an explanation from both the Israeli ambassador in Dublin and the Irish Ambassador in Israel, “and if the Israeli ambassador can’t give an explanation then he should be sent home to get an explanation”. Mr O’Toole said that what happened in Japan 69 years ago was happening again in Gaza. “Defenceless, innocent people are dying,” he said, adding that he had been “overwhelmed” by the number of people in his constituency expressing concern over the situation in Gaza. He was “ashamed” of the Government’s inaction, he added. “We can’t let this day pass without calling for the Israeli onslaught to be ended permanently,” he said.